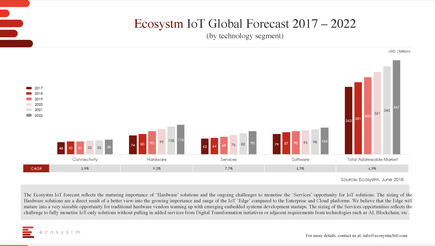 Global Internet of Things (IoT) spending is tipped to grow at a compound annual growth rate (CAGR) of 6.9 per cent from 2017 to 2022, reaching a value of US$367 billion, according to new research from Ecosystm. The findings, based on the research and advisory firm’s semi-annual IoT Global Forecast, suggest the Asia Pacific region will become the global centre for IoT solutions, growing at a CAGR of 7.4 per cent. This figure accounts for almost half (48 per cent) of worldwide spend at US$177 billion by 2022. 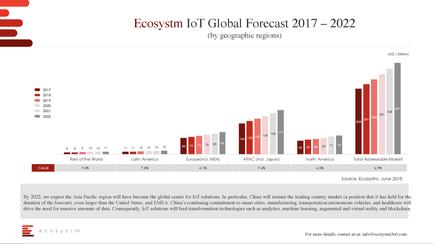 China is expected to maintain its leading position as the largest country market, beating forecasts for the United States and Europe as it continues to commit spend to smart cities, autonomous vehicles, healthcare and manufacturing, according to the Ecosystm study. 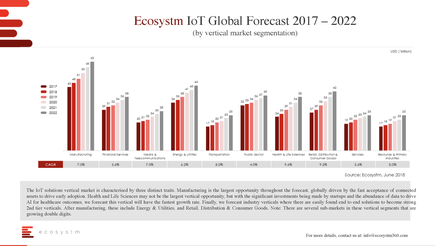 “In our pursuit to develop an intelligent and connected world, there’s a need for large amounts of data to inform our environments so that they can react and respond to our requirements,” says Vernon Turner, executive analyst at Ecosystm, on the impact of IoT growth across sectors. 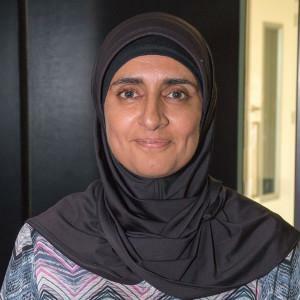 Ecosystm principal advisor Jannat Maqbool explains the implications of the survey for New Zealand organisations. 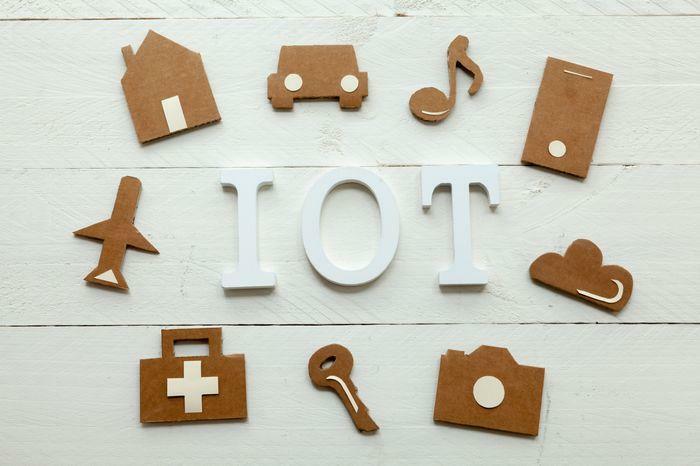 “Upfront costs and ongoing solution management/support costs have been highlighted by NZ organisations as key challenges to successfully implementing IoT solutions," says Maqbool. Ecosystm says manufacturing is predicted to represent the largest vertical opportunity globally, accounting for US$63 billion by 2022. Health and life sciences (US$38 billion by 2022) and retail, distribution and consumer goods (US$42 billion by 2022) are forecast to have the fastest growth rates at CAGR 9.6 per cent and 9.2 per cent respectively. 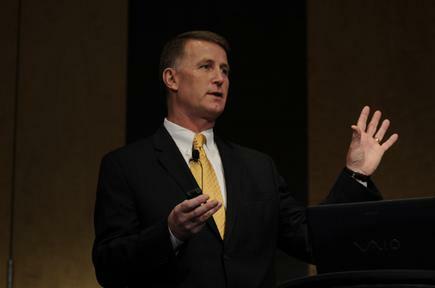 Previously, end-point devices were considered low value elements of any forecast. However, the rise of IoT edge IT requirements, coupled with AI, machine learning, blockchain, and AR/VR capabilities is driving new, richer hardware configurations. 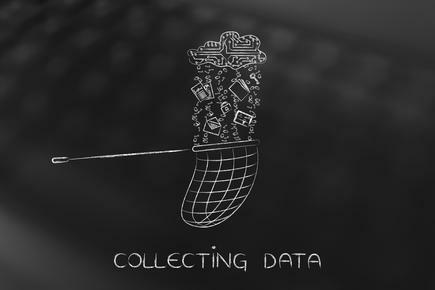 As a result, the study suggests that hardware will grow at a CAGR of 9.2 per cent to US$115 billion by 2022. On the flip side, contrary to prior industry predictions, the research shows that IoT services will slow down to a CAGR 7.7 per cent as companies are challenged to monetise IoT-only solutions without pulling in the other adjacent technologies.